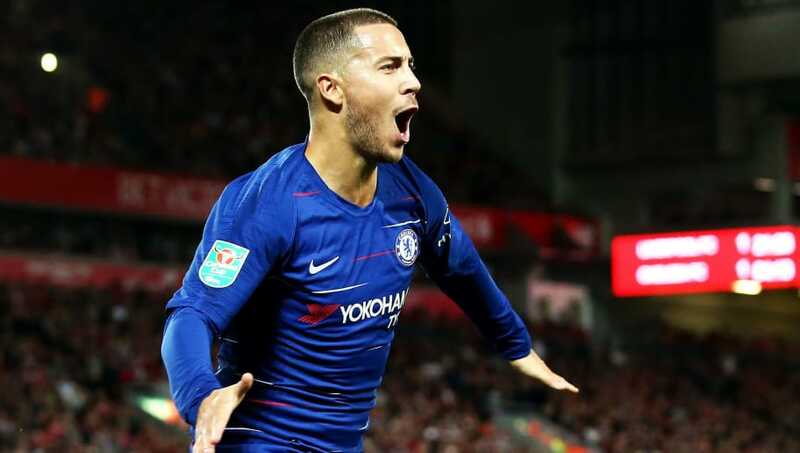 ​Chelsea's Eden Hazard has admitted that he loves playing at Anfield, citing the ground's famous atmosphere, as he recounted his famous goal against Liverpool in the Carabao Cup earlier this season. The Belgian attacker netted a wonder goal to knock Liverpool out of the Cup back in September - a strike he revealed might just be his best ever. "I have already scored several goals at Anfield – always against Simon (Mignolet), sorry - but this one was worth it. One of my most beautiful goals ever. It had everything. And it was also one against a big club. That gives it extra exposure. "I came on with 20 minutes to play. And I lost the first five balls I touched. I thought: Oh, oops, this is all going wrong. Until I started running and dribbling. I saw the gap and kicked the ball. Bam! The excitement was huge. "After the match I have watched the goal several times. On repeat. I do that from time to time in the bus. The moments you enjoy. During his time in the Premier League, Hazard has become a thorn in Liverpool's side, scoring five times against the Reds. Two of these have come this season, with the Carabao Cup screamer accompanied by a goal in the 1-1 Premier League draw. The Belgian has exhibited some of his best ever form this season, and is now just the second player in Europe's top five leagues to record 10 goals and 10 assists this season - Lionel Messi being the other player. Chelsea's 2-1 victory over Newcastle extended their lead over Arsenal to six points on Saturday and, with the two sides facing each other next weekend, the Blues could push the gap to nine points.